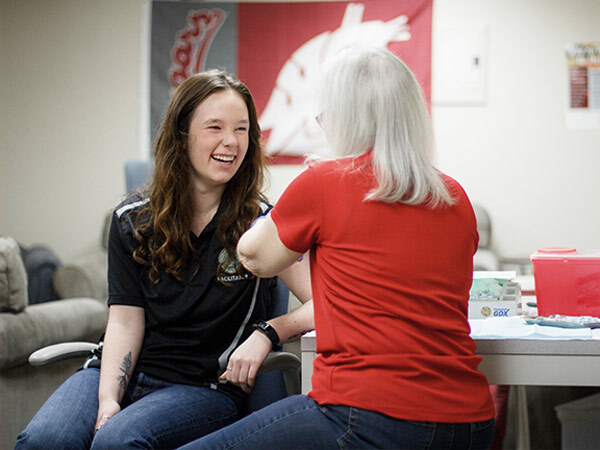 According to our National College Health Assessment for 2016, Cougs report that stress, sleep difficulties and anxiety are the top three health factors affecting their academic performance within the last 12 months. By encouraging Cougs’ mental and emotional well-being, faculty and staff can support their academic success. To get started, check out this list of ideas and resources you can use in the year ahead. Be familiar with campus resources. Learn more about mental health resources and include a list in your syllabus or student employee training materials. Get connected. Subscribe to receive email updates about mental health promotion and suicide prevention efforts at WSU. Take a training. 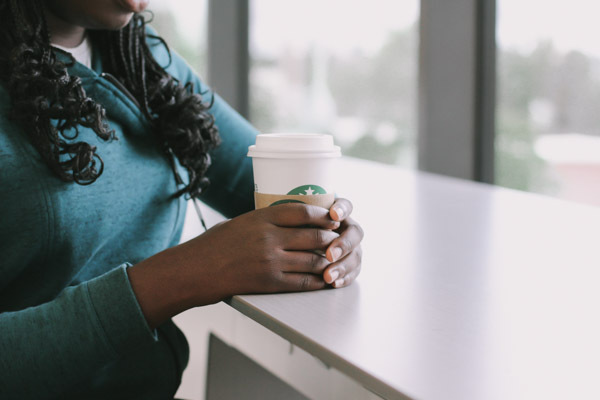 Attend Campus Connect suicide prevention training or schedule a training for your department. Encourage stress management. 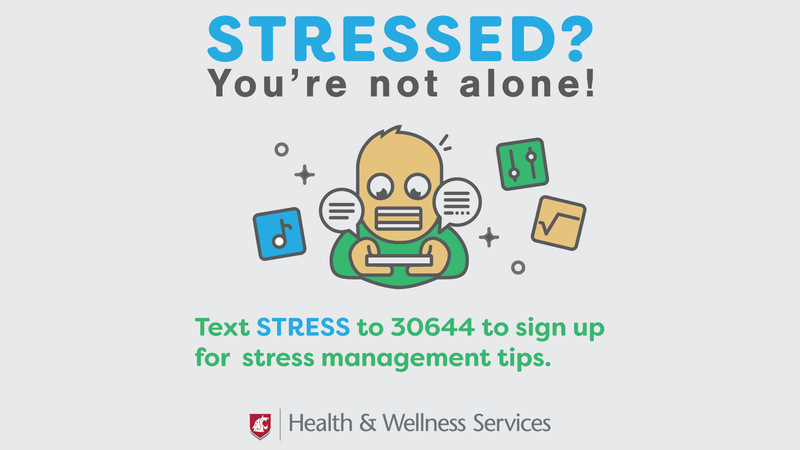 Let students know about our stress management text messaging service. Add a Power Point slide to a presentation or advertise on your office’s digital reader board. Talk about it! Integrate a mental health topic into a classroom discussion or project. Support students in distress. Know how to use the AWARE Network to share your concerns about a student’s well-being, behavior, or academic performance. This system will connect the student with University staff that can help. Get your staff involved. Add a mental health component to a staff training or brainstorm ways your department can promote mental health. Advertise mental health resources. Print suicide prevention resources fliers or request brochures to display in your office. Join the Campus Mental Health Collaborative. This group works together to implement a comprehensive public health framework to promote mental health and prevent suicide of WSU students. Email programs@wsu.edu to get involved.